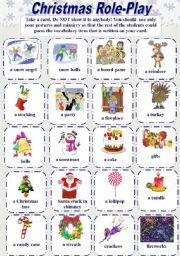 I am an EFL teacher in Russia. I love teaching and enjoy learning new things. 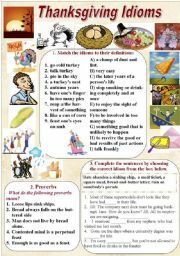 I prepare for IELTS and Cambridge exams. Cut the cards. 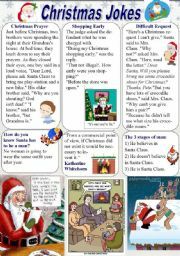 Students read the facts about Christmas and should guess whether it is true or not. You can divide the students into several groups. The team that gets more points wins! 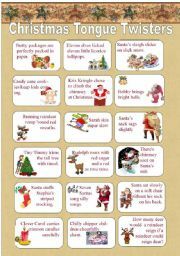 24 Christmas Speaking cards. 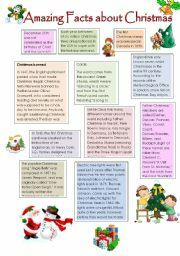 Can be used as a warmer for a lesson about Christmas. 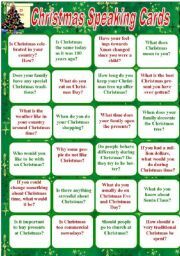 I chose the most interesting questions from several resources. 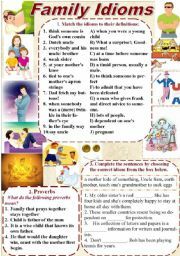 Hope they will be useful for you, dear friends! 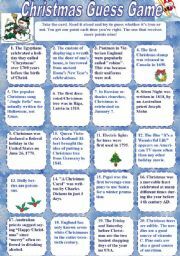 Facts about Christmas. 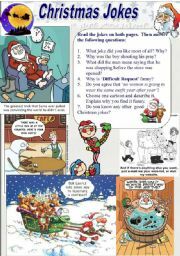 True-False exercise + useful links for teachers with free Christmas audiobooks and scripts online. 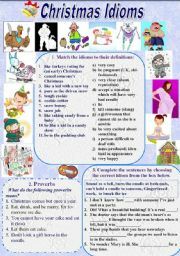 Exercises on idioms connected with family vocabulary. Keys and explanation included.